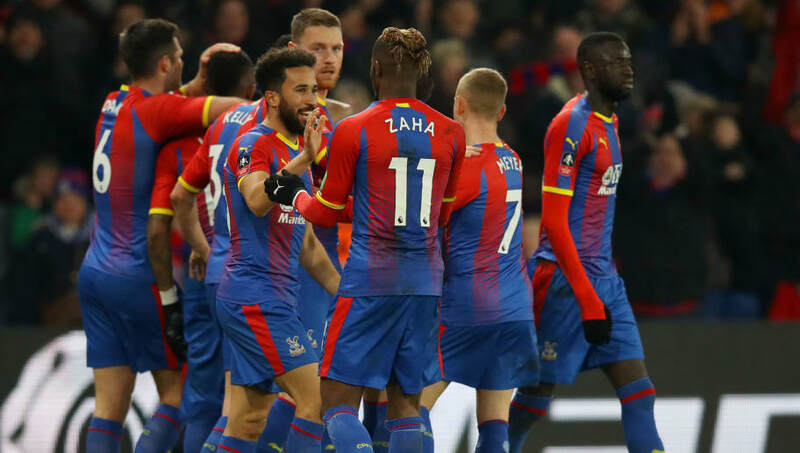 After progressing to the fourth round of the FA Cup last weekend, both Crystal Palace and Watford return to Premier League action on Saturday. Palace squeezed past Grimsby Town thanks to a late Jordan Ayew goal whilst Watford were comfortable 2-0 victors at National League side Woking, where commentator Martin Tyler was in the dugout as Woking's assistant manager. Here's everything you need to know ahead of Saturday afternoon's clash. Both sides will welcome back first-team regulars who were rested for FA Cup action last weekend. Scott Dann, who made his first appearance in over a year against Grimsby Town, could keep his place in the Palace starting XI. At the other end of the pitch, the Eagles' search for a striker goes on, after they sent Alexander Sørloth on loan to Gent. Back-up goalkeeper Wayne Hennessey found himself mired in controversy earlier this week after ​reportedly making a Nazi salute gesture in a picture posted by teammate Max Meyer. Hennessey's actions are currently being investigated by the FA. ​Watford ​Foster; Femenía, Mariappa, Cathcart, Holebas; Capoue, Doucouré; Sema, Pereyra; Deulofeu, Deeney. This game is set to be a tight tussle that could be decided by the smallest of margins, especially based on the history of this fixture. In the seven previous meetings between the two sides, Crystal Palace have three wins to Watford's two, with the other two matches ending in draws. The reverse fixture, played in August, ended up with the Hornets securing a 2-1 victory thanks to goals from Roberto Pereyra and José Holebas. The fact that none of the preceding five matches between the ​Eagles and ​Hornets have been decided by more than one goal points to Saturday's clash being another even encounter. Crystal Palace have looked a rejuvenated side under Roy Hodgson in their past five Premier League games, winning three, drawing one and narrowly losing at home to ​Chelsea. These three wins have lifted Palace up to 14th and six points clear of the relegation zone. This also included the shock of the season so far, when they beat current league champions Manchester City 3-2 thanks to an Andros Townsend thunderbolt. Watford, meanwhile, have failed to win a Premier League game since 22 December. Since then, they have drawn two and lost one of their last three matches, something Javi Gracia will be hoping to change on Saturday. Crystal Palace are a tough defence to break down, particularly at home. Watford have also failed to keep a clean sheet in the ​Premier League since before Christmas. Add to that the goalscoring touch that Palace have re-discovered over their last five games and Watford's poor run of form in recent weeks, then it seems likely that the Eagles will be celebrating their third win in a row come the final whistle on Saturday.